Perhaps not everyone knows that in February of this year IL VOLO recorded a tribute record to SANDRO. SANDRO is an Argentine singer who won a Latin Grammy honoring his career and is also known as SANDRO DE AMERICA. Unfortunately, it’s been 10 years since Sandro is gone. One of his successes, PENUMBRAS was sung in duet with Piero, Gianluca and Ignazio. 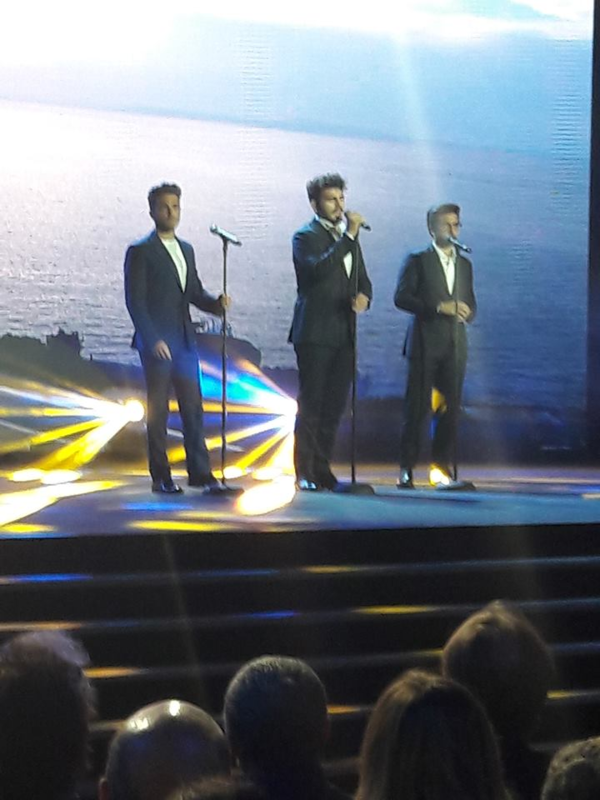 Beautiful voices, begins Gianluca, then Sandro then Piero and Ignazio. It is a very poignant song. Here is a photo of Sandro De America. Here are the words of the song. And that’s why I told you about this song, because last week it was ranked in Radio Vox Top 20, in place #11, while Noche Sin Dia is at #19. So, do you like this song? Have you already heard it? Again thanks Daniela. I love this song. I think Ignazio could do a good job singing this song. All you talented ladies maybe could do a blog of all the recordings the boys did with other singers. Daniela keep ‘digging” and bringing us news and videos of Il Volo. You know. Gina, when I heard it, I liked it right away, I find that the 4 voices blend very well. Did you already hear it or was it a novelty? In this case I’m glad to have highlighted it. I have been following the boys since they participated in the talent show and heard so many of their projects that ten years later I can not remember all the songs I heard. In the early days us avid followers watched and listened to everything we could find. I am so happy that you came along and look and find interesting things about the boys. Thanks Gina, however, this song was recorded in February of this year so maybe many did not know it. Jeannette, I’m glad you liked it, you have perfectly described the voices of the guys and I love the opening made by the magnificent and sensual voice of Gianluca. It’s really another of the beautiful duets of IL VOLO. Excuse Anna, I can not understand the comment. I like them both I just have a hard time with them singing with other artists. The song at #19 pleased me if only for the fact that Gianluca looked happy, was smiling also he sang alot more but I felt Il Volo could have done without the other two “singers”. The second song at # 11 was good until the last two verses where the record mixer did not get the words synced very well. They have the voices that sing both very well and they are still so young that a variety is not all bad. Thanks Yvette. Who knows why we all love the duets of IL VOLO, but if they are alone …… we prefer them !! We are very happy that the songs of the boys climb the charts, because they are good, and deserve this success. I think the song is quite beautiful. I was totally unaware of their having recorded this. Wonder if it was recorded in Miami when they were doing the new cd. When they duet with almost any artist they out sing and outshine their partner. I think it is certainly the case here. Singing with other people always highlights just how good they are when they are the best . Maybe Barbara Streisand equaled them, but in my mind that is possibly even a time they outshined her. Also I find the translated lyrics of many Italian and Latin songs read in English so much like poetry. Lovely. Janet, you said something very right. Their beautiful voices often blur others. Surely they are very good at restraining themselves, but I want to tell you a sentence that told them Lady Gaga. Since they were IL VOLO and LADY GAGA invited to a dinner that included their performance, Il Volo performed first and Lady Gaga said “….. and now how can I sing after you? Wow. She rightly recognized their talent , and she has a great voice. Enough said!! I also loved this song. Is it just me, or do others think Sandro looks a lot like Engelbert Humperdinck? Jill, I do not really know who Engelbert Humperdinck is, I’m sorry, but I saw several photos of Sandro and he was a beautiful man. He started by imitating Elvis Presley. He was of Gypsy origins. I was training, I knew you would like it, really beautiful! Allene, the translator has translated your name into “I was training” ……. what a laugh !! When I first saw this video some time ago, I put it on you tube loop and have been listening to it over and over. I think it is beautiful. Sandro’s rough voice is such a contrast to the mellow yet powerful voices of Il Volo. Love it, and thanks for the translation. Thanks to you Esther who you have commented. As I heard this song, I liked it right away, I like the parts of the boys, they seem well assembled, and I also like the voice of Sandro. Thank you all for the interesting and informative history and ongoing stories about Gianluca, Ignazio and Piero. I have only been aware of their existence for about a year, probably because I had been sole caregiver for my late husband during the eight years and didn’t do much else. But now a day doesn’t go by without the joy they bring into my life. I now have a collection of CDs and DVDs and also all the wonderful memories YouTube brings to us. I’m looking forward to 2019 when they possibly will be celebrating their 10th year with an international tour. I hope to celebrate my 90th year on earth going to a concert with my family somewhere east of the Mississippi . Your endearing friendship with each other is so much fun and I hope to participate more in the future. Beverly, thanks for your comment. I am so happy that IL VOLO comes next year on tour in America, I know that many of you are waiting anxiously. Surely you will go to a concert and you will have fun. It’s so nice to know that these guys delight the lives of so many people. I think this is a beautiful song. Thank you, Daniela, for sharing this with us! He still appears in Las Vegas. Jane, I knew you liked it !! Jane and Jill, you must excuse my ignorance, but I’ve never heard that name. Jill, if this is a singer you followed, you’ll have had the pleasure of listening to one of his songs with the beautiful trio you’re following now !! 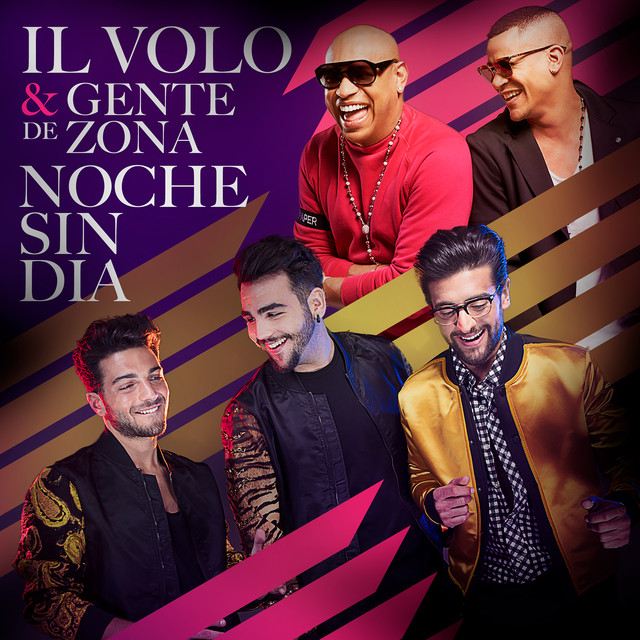 Yes, I like the song and as I listened I wondered what IlVolo could do with this alone. Janette, IL VOLO, is not the only one who did a duet with Sandro, if you look closely at the rankings, you’ll see that there’s another single, Cristian Castro and Sandro singing Rosa Rosa. I do not know this song, but I read, that was the most famous song by Sandro, I also know that Cristian Castro is very famous in Latin America, but I am very pleased to see that the song with IL VOLO is higher in the ranking .